﻿ What is the Use of GBIC Module? GBIC (Gigabit Interface Converter) transceiver, just as its name implies, it with one end to plug into a gigabit Ethernet port like switches, the other end to connect the fiber optic cables and then link the whole fiber optic networks. 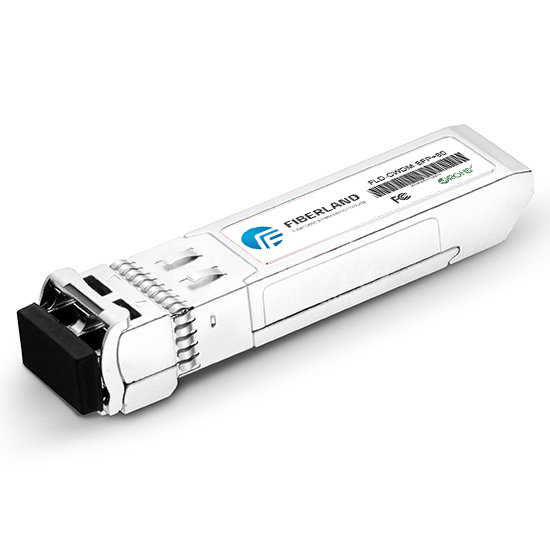 GBIC module functions well in transforming the signals between the Ethernet network and fiber optic network. Via the GBIC transceiver, Gigabit network equipment can be directly connected to copper wires, both single mode fiber ports and multimode fiber ports. GBIC transceivers are beneficial, as they eliminate the necessity of replacing entire boards at the system level. Upgrading can be done with any number of units at a time, from an individual module to all the modules in a system. GBIC has its multi sources agreement as the industrial standard, this help manufacturers save cost to develop their each own standard and solve the problem of compatibility, GBIC transceivers could also benefit the users, because the equipment support GBIC can fit to use different kinds of GBIC transceivers from different suppliers, what is more, GBIC is hot pluggable, this feature allows a suitably designed enclosure to be changed from one type of external interface to another simply by plugging in a GBIC having the alternative external interface. The GBIC transceivers are suitable for interconnections in the Gigabit Ethernet hubs and switches environment. The design of these converters is also practical for other high performance, point-to-point communication requiring gigabit or fiber channel interconnections. GBIC classification is based on its working wavelength, data transmitting rate, working power and the working distance. Generally GBIC fiber optic end the interface is SC type, the laser unit in GBIC module can be 850nm VCSEL, 1310nm FP, 1310nm DFB, and 1550nm DFB. When install a GBIC module, please note the alignment groove at the side of the transceiver, and make sure it fits for the Ethernet interface slot and try the insertion, sometimes you may need to turn it 180 degree to fit for the interface. Although GBIC fiber optic transceiver module is able to be plugged and played, we strongly suggest you disconnect all the fiber optic patch cords connected to it before you install or remove it.